Perhaps because of the heavy influence of American troops from the war, perhaps because of the massive amount of transient backpackers funneling in on night buses, perhaps because the locals are interested in Western Cuisine, or perhaps because all the best Vietnamese food is elsewhere, HCMC is a destination for world cuisine. Unfortunately, I didn’t get to eat all the places that looked interesting, instead, I went the comfort food route. After all, it had been a month of focusing on Vietnamese food, I was ready for cheese! 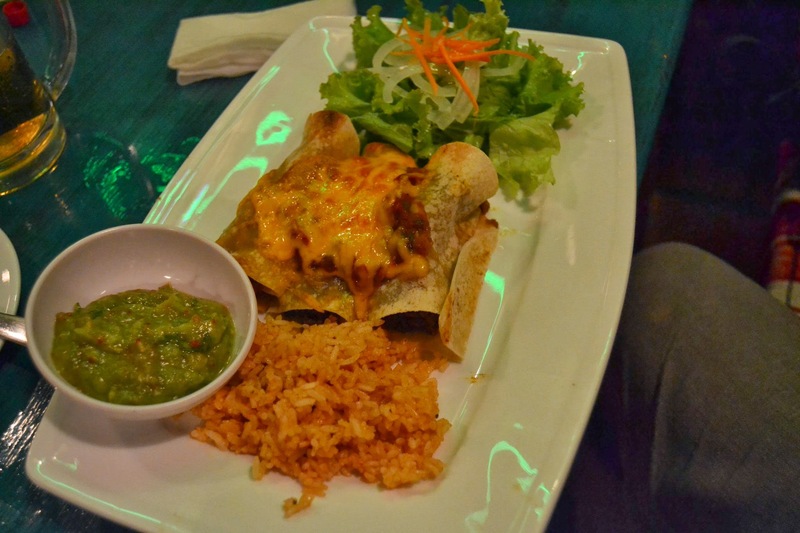 At La Cantina (175 Pham Ngo Lau), they had a decent offering of Mexican, but also an extensive Vietnamese section. Enchiladas were fine and hit the spot for which cheese was missing. 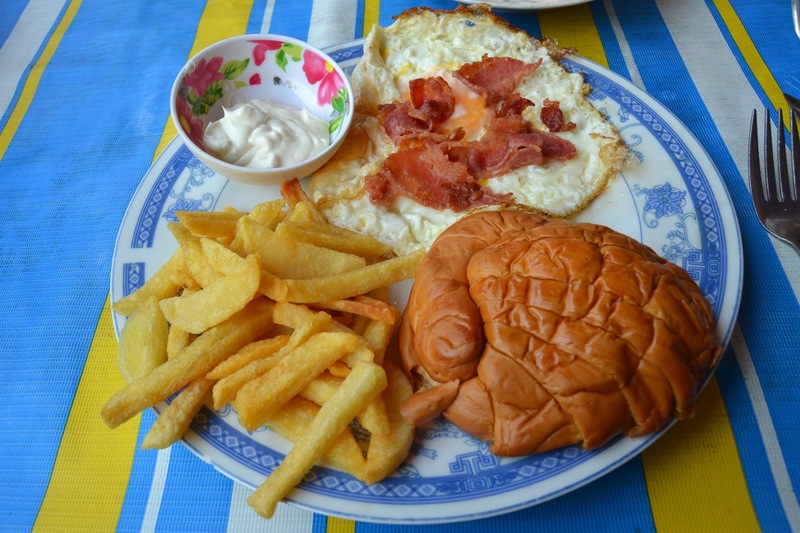 Chucks Burgers (27 Tran Nhat Nuat) is hard to find and easy to eat. 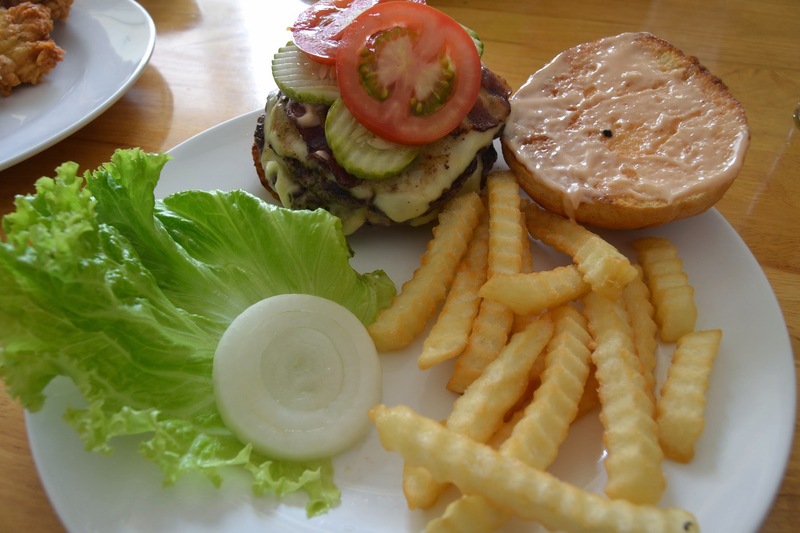 A guy from California, Charlie, moved back to his heritage homeland and brought his American food with him. This place was REAL good. They do BBQ’s every other Sunday. Take a taxi here, too difficult to find walking. You can never escape noodles and rice. This was my roadside lunch on the way to Cu Chi tunnels. It was very salty. 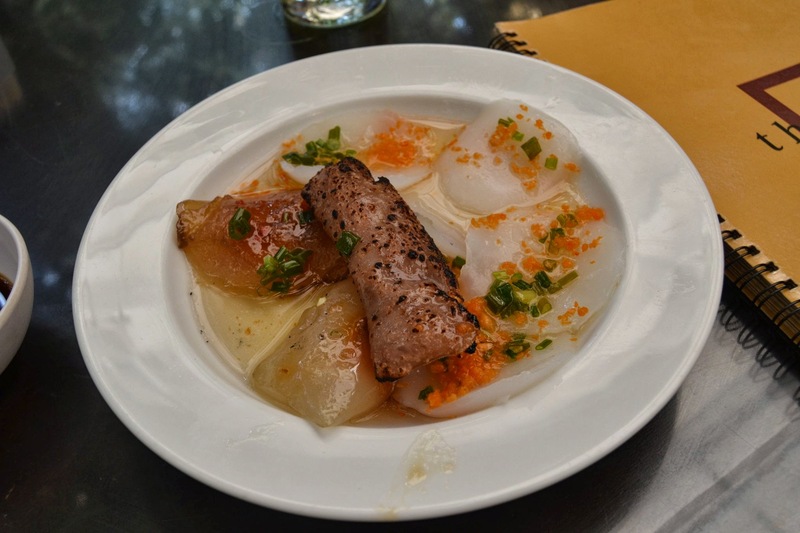 Sticking with rice/noodles, these are rice flour dumplings, and a pork stick from Nha Hang Ngon (160 Pasteur). It was okay, but not as good as its Hanoi counterpart. 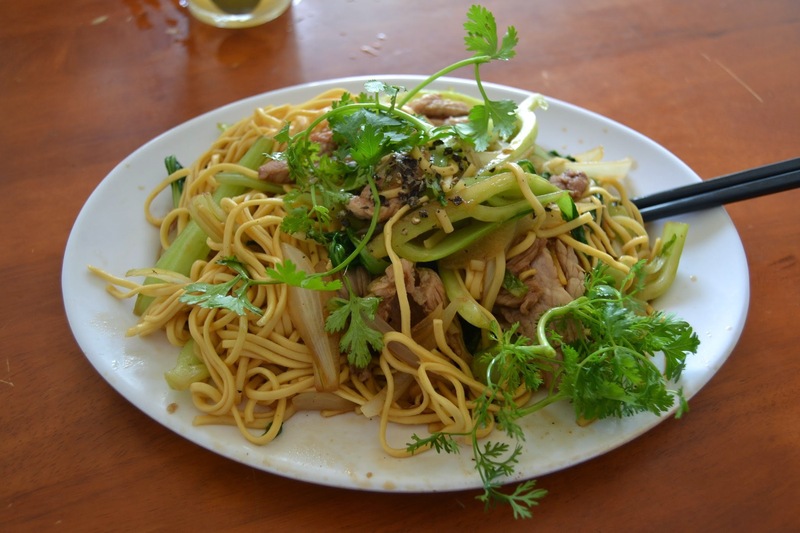 The food and service wasn’t as good as Quan An Ngon in Hanoi. 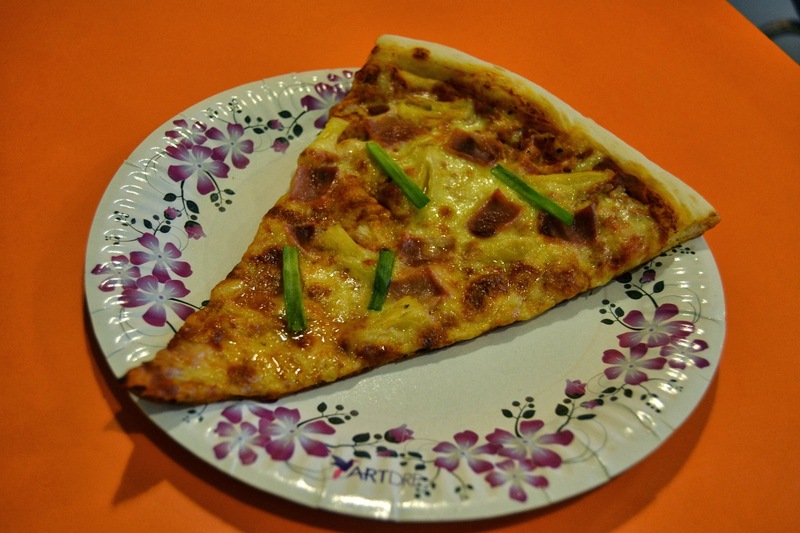 Pizza by the slice at ESPY Pizza (154 Cong Quynh) was amazing. This picture doesn’t do justice, we ordered a whole pie before, but ate it before I remembered my camera. It’s perfect Jersey Shore boardwalk, suburban Northeast pizzeria style. Recommended. 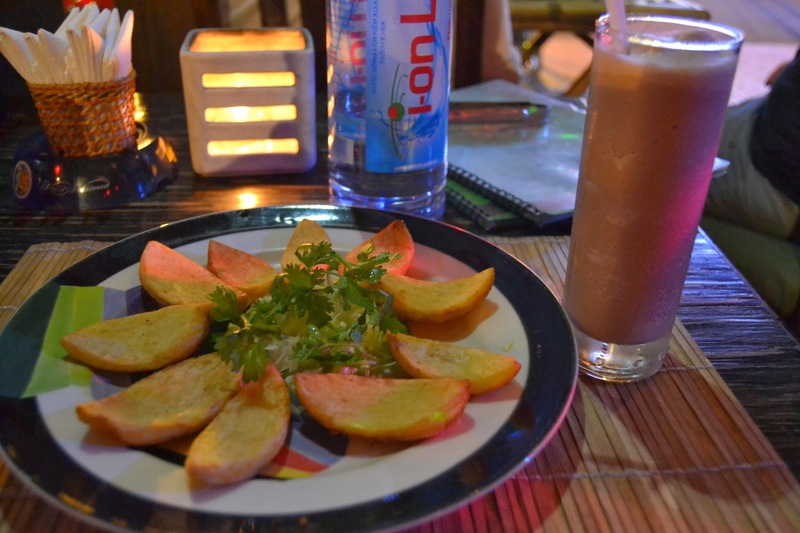 Allez Boo, on the main corner of Pham Ngo Lau street, has a tropical decor and friendly staff. This chocolate shake tasted like a Wendy’s Frosty. We mixed ketchup and orange spicy sauce for dipping the potato skins. They also offer hookah service with comfy charis, a perfect place to chill and people watch through their giant doors. At Le Lay, somewhere on Bui Ven street, they had an enormous menu with one woman in a tiny kitchen seemingly performing miracles upon each order. This eggs, bacon, bread and fries plate was about 40,000 dong (2$). 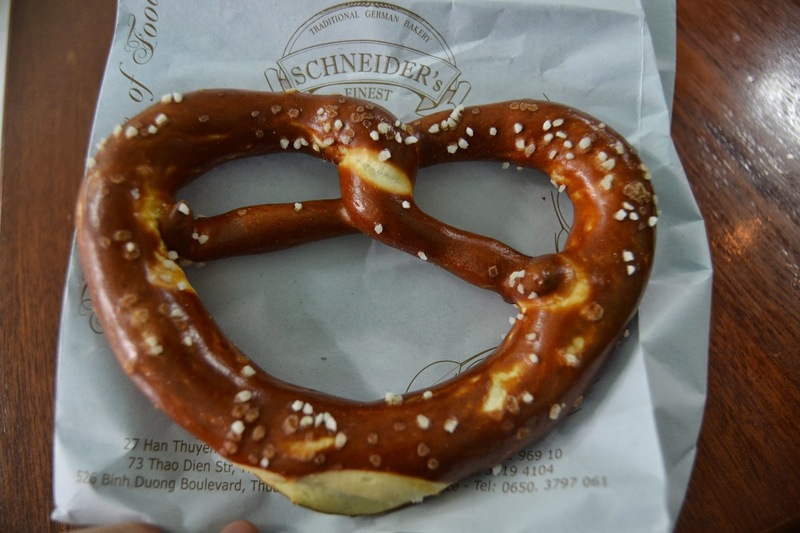 At Schneider’s Bakery (27 Han Thuyen) they have a nice selection of home made breads and pastries. A small Greek diner near my hostel provided some nice flavors of the Mediterranean with a lime spritzer, kebab, moussaka, spinach lasagna and dolmas.